We stepped into Le Diplomate in Logan Circle this week, ready to be charmed by its little-piece-of-Paris atmosphere but, with only one vegetarian entree on the menu, unsure of how the meal would go. Despite being filled to capacity (expect to make a reservation a couple weeks in advance), Le Diplomate’s hosts and servers were friendly and efficient. The generous bread basket came with slices of cranberry nut, baguette, and brown bread and a pot of outstanding fresh tangy butter. A handful of the appetizers are vegetarian, so we decided to make a meal of the mushroom tart, ricotta ravioli, salade verte, and herb omelet. The tart, with a crumbling flaky crust topped with delicate pioppino mushrooms and pecorino, was so rich and satisfying that it might actually be hard to finish on one’s own. Enter salad to balance things out. 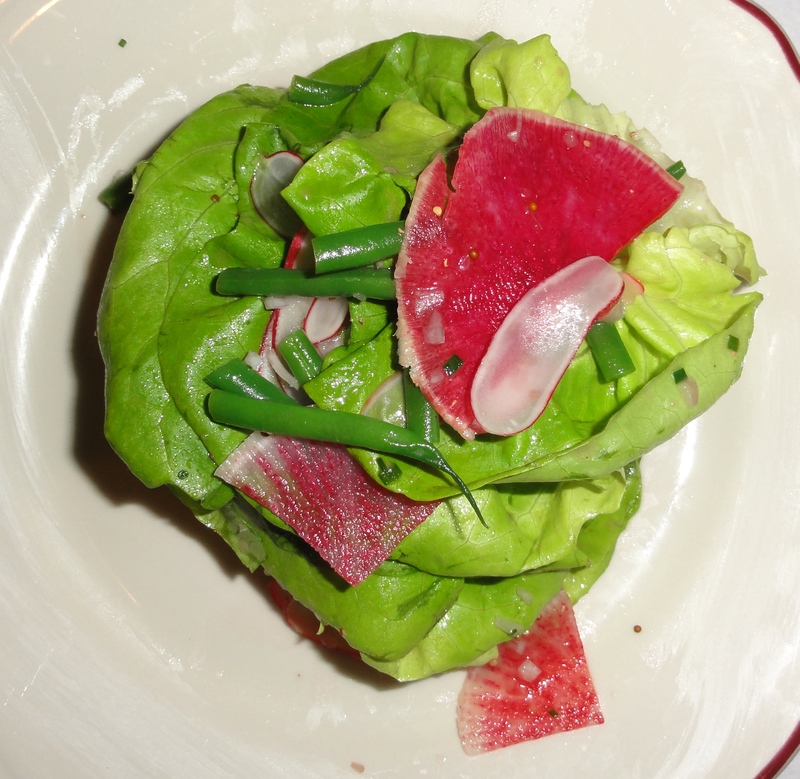 The salade verte was gorgeous, composed of buttery lettuces, rainbow radishes and tiny haricot verts. Red wine vinaigrette accentuated its freshness without overwhelming the tender vegetables. 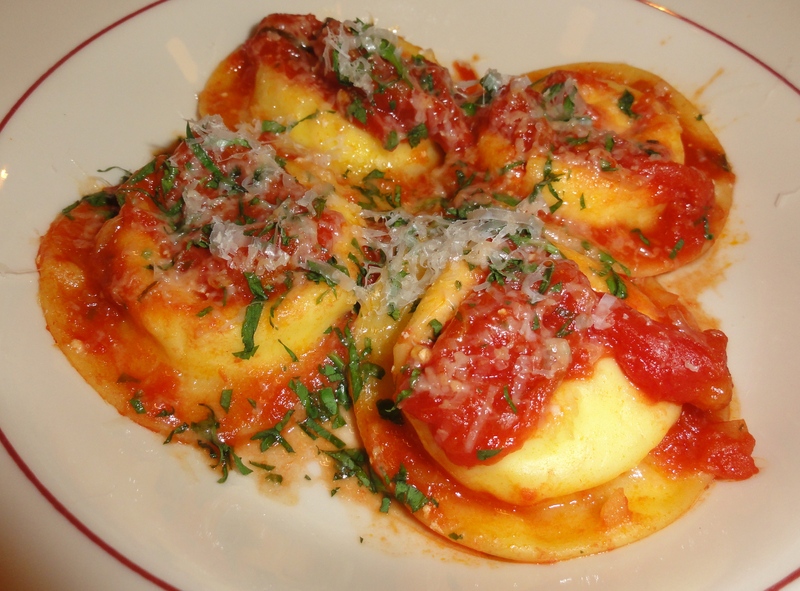 Ricotta ravioli was cooked just right with fresh cheese inside but the tomato sauce and overall flavors were unremarkable. 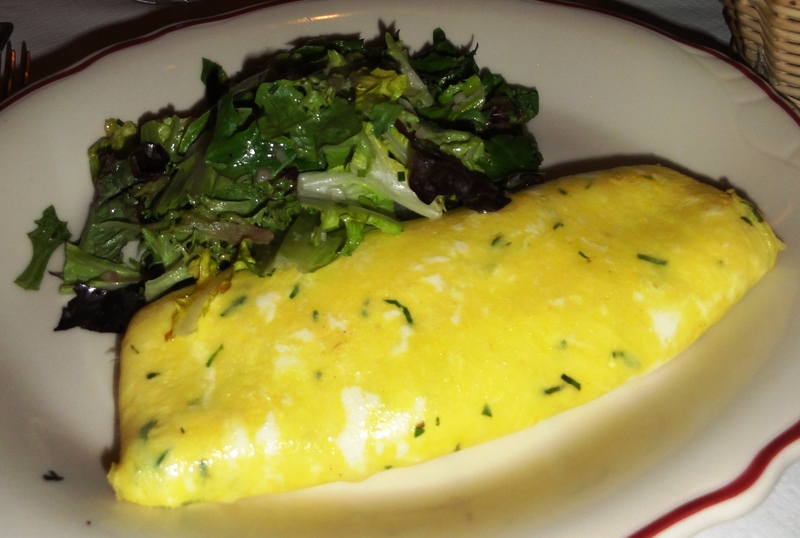 Similarly, the omelet, which ought to really stand out as the only vegetarian entree in a French restaurant, was fine but not among the best I’ve had, or even something I’ll remember. 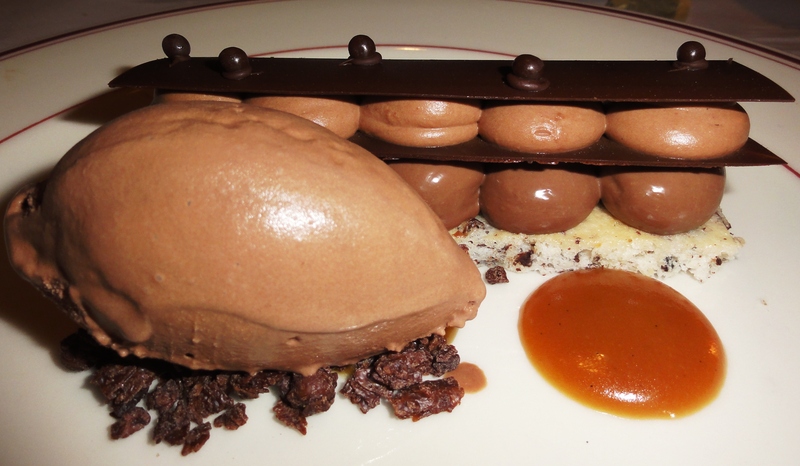 Our best decision came at the end of the meal when we splurged on three desserts. 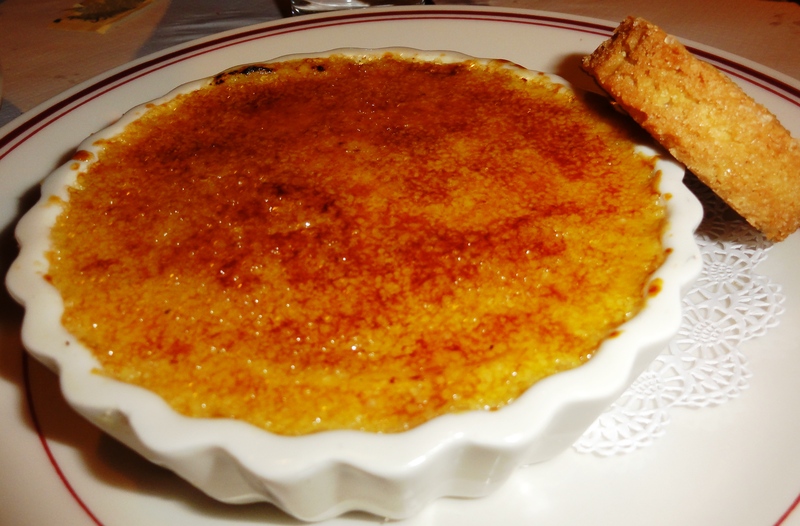 The pastry chef pays glorious tribute to classics – think crème brûlée, napoléons, and pots de crème. As full as we were, not a single bite of any of it went to waste. 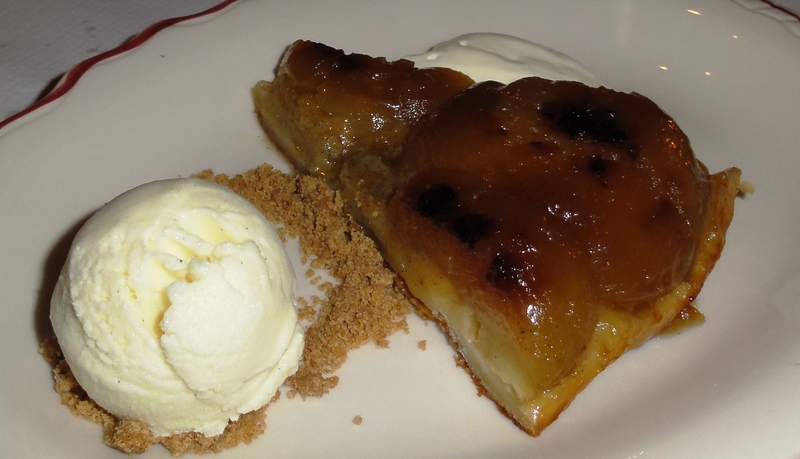 And honestly, if the desserts hadn’t been so fantastic, we wouldn’t be rushing back any time soon. So unless or until more vegetarian entrees appear on the menu, how should one approach Le Diplomate? 1. Get your sweet tooth primed 2. Start with salad (we’ve got our eye on that radish crudité with butter) 3. 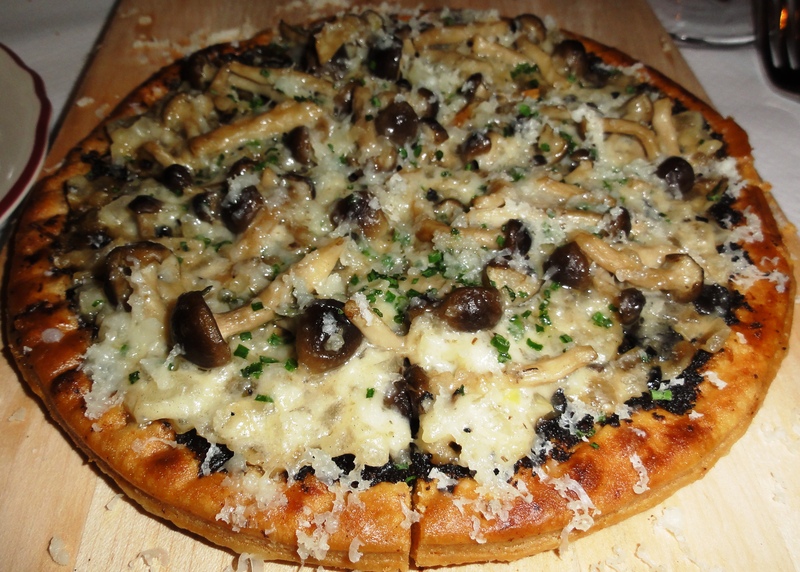 Nibble on a cheesy mushroom tart or macaroni au gratin 4. Hit the patisserie section. Hard. Voilà!